Always bring a power strip or hub. Although newer ships and hotels have plenty of plugs, most do not. It is tedious to have to share one plug between 2 or more electronic-age people. Although it is permitted, it is not worth carrying canned drinks aboard. Even with these, it is hard to get enough to drink. Make a conscious effort to drink. Camping out in the Trough or a bar and refilling cup after cup is the strategy we adopted. I took art or a computer and set up at a table for 2 hours drinking tea. Onshore, you cannot be cheap. Buy drinks, especially if you are swimming in salt water. Speaking of tea, the tea on most cruises is awful. In future, I plan to take squirt sugar-freer lemonade and teabags. 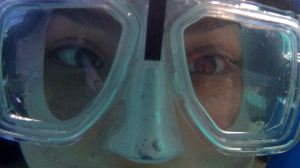 Never snorkel without eye drops in the kit. 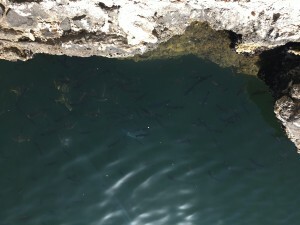 Do not bother to eat the lunch included in shore excursions. Pack fruit, cheese and bread from your Trough breakfast. Buy drinks. Apply sunscreen early and often. The spray kind is much easier to deal with on the beach; pump spray rather than aerosol is best. It’s up to you what level of protection, but if you’re in the tropics in winter, your skin is not ready for the intensity of the sun. Take a tee-shirt or rash guard shirt; aloe burn cream is also a good idea. Pack your suitcase and then take out half. If you're doing a lot of touring, you'll need clothes. If you're doing the beach, fewer clothes. 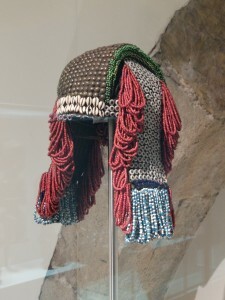 It is lot of fun to bring something fancy, but everyday clothes can be held to a minimum. 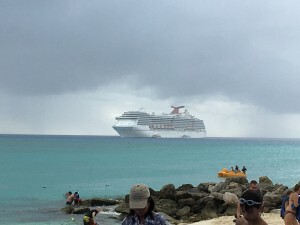 However, you do need several pair of shoes: closed toes if you are going walking on an excursion (Behind the Scenes Ship Tour and Blue Holes tours require them); flip flops or beach shoes and nice shoes for formal nights. Pack plenty of toys for sea days. The key to enjoying sea days is to be prepared. Unless you like to drink and gamble, or play games with strangers, sea days can be a challenge. I am into arts and crafts. Ron is lost without a computer. We usually indulge in a cabin with a balcony and spend the sea days playing and napping. (But this is how you get dehydrated, without realizing it.) We also bring ebooks and computer games. The key is to have enough variety of things to do; and, if you are prone to seasickness, you might need to lie down doing them. Gaming and reading might be nauseating, so be prepared with movies or TV shows. There is seldom much to watch on ship's TV. Motion sickness medicine often makes you drowsy and you might lose many hours napping. Do not be upset about this! Count it as part of your vacation and relax. Shows on the ship are always too loud, so bring ear plugs. Shows vary a lot in quality, with some producers thinking volume can overcome lack of talent. Still, the shows can be great fun and usually end a day nicely. 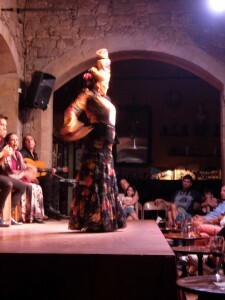 Often, there are 2 shows per evening, to follow early and late dining. Early / Late Dining vs "Your Own Time". There are advantages to both. With set-time dining you are seated at a table with 4-6 strangers with whom you can converse. The service tends to be better. With "Your Own Time" dining, you are usually seated with your own party, and will be seated in different places around the room. This is nice for ogling other diners, but if you get tired of your cabin-mates’ conversation, you’ll be silent a lot. [The dining room is loud, so conversation is a challenge in either case.] Service can be painfully slow. with "Your Own Time" dining. Trough dining. The Trough is good for breakfast and lunch. Cruise ships are getting into small specialized restaurants, with different opening times. There might be a pizza joint, hamburger place, Mexican, as well as extra cost dining options, like a steakhouse or sushi bar. The only time I have ever paid extra for a meal on a cruise was when Ron and I went to The Chef’s Table, a very expensive multi-course meal with the head chef at the head of the table. 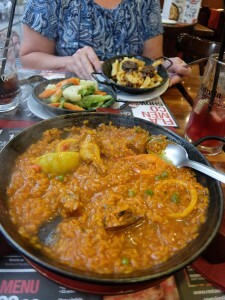 This was quite wonderful, and we are not even foodies. I have yet to try an onboard water park. I must be too old. You have to climb a lot to get to the top of the slide. Pools are often too chlorinated to be enjoyable. Hot tubs are usually very crowded. But this is my personal hang up. Cruises often include evening movies on the pool deck. Looks like great fun, seldom crowded, but the just haven’t shown anything I cared about seeing. When it comes to booking shore excursions, there is a lot that goes into your choice. Price, of course, but also value for money. 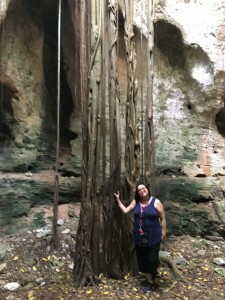 Some people arrange their own tours without going through the ship's excursions staff; I have never done this, because the ship usually guarantees that they will not sail without you if you book one of their tours. 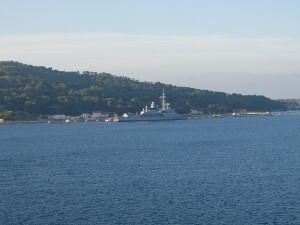 We have had great times just walking from the ship around the port and have also been delighted with guided tours. I find that it really pays to spend a lot of time making these choices. 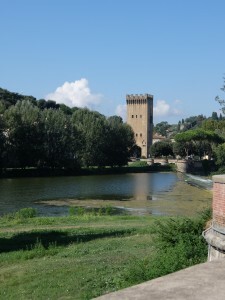 The cost of a good guide book is paltry compared with a bad tour experience. My parents began to travel to England every year when I went to college. My dad loved to travel and my. Mother loved England. After I was married to Ron Buckles for 3 years, we managed to have enough money to accompany my parents on one of their trips. We did the basics and they did their own thing, but we often dined together. In addition to Whitley Court, a small mom&pop restaurant serving British fare and breakfast anytime, my parents also showed us the local food market for fruit and “American walnuts! (what we call English walnuts!). But this day we four went together by underground to the outskirts of London, aka the City. Here is a vintage piece from my father. In London, the Beth al Green Museum is an example of prefabricated cast iron and glass construction which was used for the Great Exhibition of 1851 (The Crystal Palace, which was the first World’s Fair.). This building was built in 1856 near the present site of the Victoria & Albert Museum as a temporary museum, but as the permanent building neared completion, it was taken apart, moved to Bethnal Green, and part together again on the present site, northeast of the City. 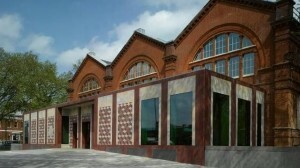 On the new site it was encased in brick and some slate was used on the roof. On the outside the effect is much like any other brick building, but on the inside, the “modular” nature of the construction in 24 foot square sections with cast iron posts and beams, makes it easy to see how the Crystal Palace was constructed using as many “modules” or units as needed to get the enormous size. The Crystal Palace was moved in a similar manner after the Great Exhibition and lasted until 1936 when it was destroyed by fire. In this museum, still a branch of the Victoria & Albert, the structure itself is one of the exhibits. That was enough for me. For Carol and Shirley, there were exhibits of doll houses, dolls and other old toys. For Ron there was t he exhibit of Samurai swords and Japanese armor. With all these attractions, we just had to visit it. In my aimless wandering over the whole place to inspect the bolted construction, I came upon glass cases filled with female figures dressed in dresses of olden times, in fact, the costume collection. The eerie thought entered my head: “If these ladies are visiting the Great Exhibition today, I might as well do so too.” So I set out to see the “wonderful manufactures of all nations.” Soon I came upon a sideboard if elaborate design and nearby another not quite so fancy. Alongside one were a couple of intricately carved and upholstered dining room chairs. My Art Journal Illustrated Catalog described these sideboards as “Bookcases.” Each was about 12 feet long and maybe 8 feet high. The one made by M.M. Leister of Austria was given as a present from the Emperor of Austria to our Good Queen Victoria. This one looked like a castle with very many towers and steeples of wood decorating the top. The other less elaborate sideboard was not as high or as long, but still much too large for most village houses. 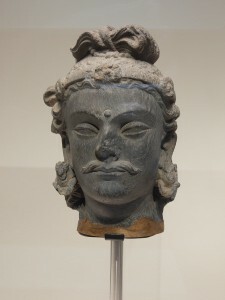 As I moved along, continuing to inspect the Exhibition, I found things that didn’t fit. The spell was broken and I was jerked back to 1974 from my little trip in time. From the Baron’s Feast, our small band struck out through the woods. We were Arthur the Traveler, Simon the Barbarian, White Fang the Ninja, Matt, Robbie, He Who Was Nameless and Lady Beth Carpenter of Rye. We could taste adventure in the very air and we were ready for it. 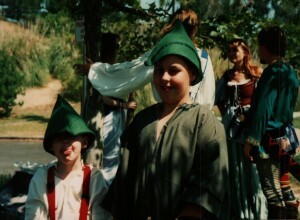 These pictures are a few years earlier, but give a little SCA flavor. Both are at previous Baron's Feasts. 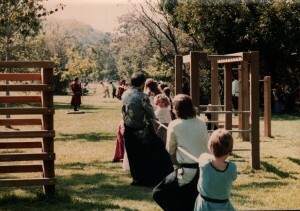 The Baron’s Feast was held in Irvine Regional Park in the spring of each year. 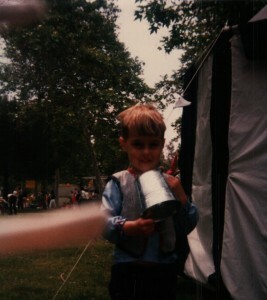 Arthur the Traveler was my son Andrew. Simon he Barbarian was my son Simon. White Fang the Ninja was Michelle Sevigny. Robbie was Robbie Morris. The others I knew not then or now. 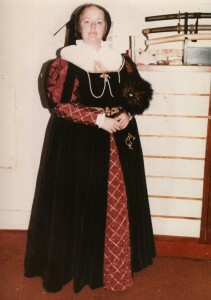 Lady Beth was me. The real year was 1994. After a long march, wherein we became acquainted, we spotted the Magic Caterpillar, whose sentience diverged our path sharply to the right. There, through the ordinary trees, we spied the Tree of Life itself! All the Band took our turns climbing the tree to gain its beneficence and, thus fortified, we continued our journey. The Magic Caterpillar was a non-mage. We took our direction from the way he was heading. The Tree of Life was a huge live oak with many low branches. Almost at once we chanced upon a Sage Bush in full bloom. Each of the Band was given the chance to identify the fragrance, but none could, except Lady Beth, whose kitchen experience far outweighed everyone else’s. Thereupon, we rejoined our journey, through league after league of forest and scrub land, occasionally hearing the mighty roar of the Dragon from on high. The Dragon was represented by numerous airplanes following their normal flight path. Imagine our surprise then, as we broke through the woods to behold a Village of Strangers, clad in the most amazingly brief garments we had ever beheld. We caught them at their revels, bent on executing a gaudily dressed person hanged by the neck from a tree! Before we could intervene, a village child struck a mighty blow with his quarterstaff; we were mightily relieved to discover the person was made of paper stuff and was filled with treats. We were unable to communicate with the Strangers, as they spoke an outworldly tongue. We made use of the Village necessary rooms and drank from the foul waters of their fountain, and forthwith, traveled on. The Village of Strangers was a group of Hispanic people celebrating with a piñata. Our eyes then beheld a fair green meadow, rising gently toward the distance. It was here that we first saw the Dragon as he patrolled the skies, roaring his anger with putrid breath! All undertook to follow the Dragon to his lair and we forthwith crossed the meadow and gazed from its further most hill a vast and scorched lakebed. White Fang understood, and explained that the lake had been dried up by the evil Dragon! The vast lakebed is in fact a dry streamed in the park, not so very vast. There was naught for it but to cross the forbidding landscape. We undertook this task with sinking heart; the blazing sun beat down, parching us and the deadly lakebed. Halfway across, Lady Beth became aware of a miracle: in draining and drying the lake, the Dragon had magicked many of the stones thereunder! Our noble Band then set about collecting one or more of the Magic Stones. There were pink stones, striped stones, flat stones, big stones and little stones. All were imbued with a Magic most powerful. Upon achieving the other side of the vast lakebed, our nostrils were assailed by the terrible, putrid, foreboding stench, by which portent, we knew that we were near our Goal. The putrid stench was caused by several very ripe dumpsters. After a long slog across a strangely quiet, sandy plain, we saw the cliff on top of which the Dragon ruled his Kingdom. On the side of the cliff was his empty Cave and we knew that we could climb his Throne with impunity. After holding aloft our Magic Stones, we placed them at the foot of the imposing cliff, in a Magic Pile, on top of the Comet Shield of Simon the Barbarian. Thus disarmed, we made our way straight up the Dragon’s Throne. Standing guard within the very Cave of the Dragon, Arthur the Traveler protected our flank as we climbed. The Throne of the Dragon was the cliffs that rise across the river from the main park. They really did offer a wonderful view. Andrew declined the climb and stayed with our stuff. The even more asture will realize we hadn't come so very far. After a time of rapt gazing, we then made our perilous way down the cliff face, to join joyously again with Arthur the Traveler, and to retrieve our Magic Stones and weapons. We planned a low key day in Toulon. We had just completed 3 intense days in Italy, and though Monaco was a fairly quiet day, we didn’t have the stamina to board a bus for the Riviera or Provence. So we went to the ship board port talk, got a map, and set our agenda. Coming into port the next morning was amazing. 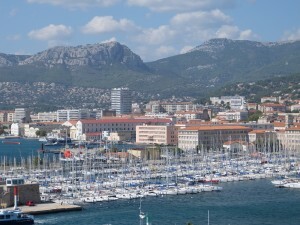 Toulon has been an important port forever, and I have read about it’s glory days in Napoleon’s time. The approach takes a long time, as the harbor is enormous, with all shapes and sizes of islands providing lee protection to literally thousands of boats and ships. We had a very leisurely breakfast, while the madding crowds debarked. 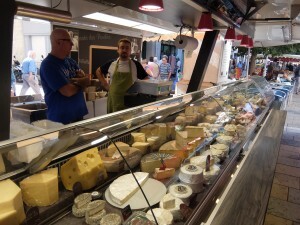 We walked ashore, heading toward the Cours de Lafayette street market, and whatever fate put in our path. 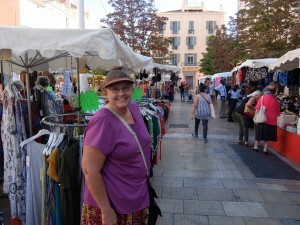 Toulon is charming, filled with wonderful funky shops and the street market is fabulous. Though mostly fresh produce, there were also handmade soaps, toys, purses, clothing and the like. Nicer than a flea market—an upscale farmer’s market. So we walked around the block, through a charming pocket piazza with a fountain. The church is beautiful, though not terribly old. A very nice brochure guided us through the chapels and art works. 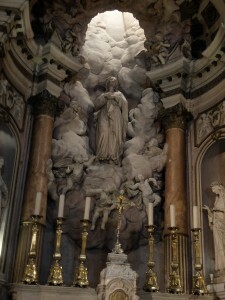 We were very impressed with this high altar sculpture. 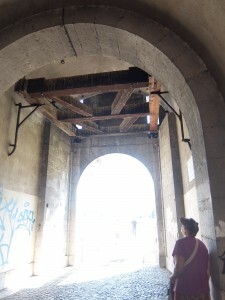 Continuing on, we looped through a Napoleonic-era drawbridge and through a large shopping mall. We bought a few things at Carrefours, the French grocery. Toulon is home to many many Muslims [as it has been for centuries], but French law dictates that their faces must be uncovered. We elected to eat at the ship’s trough2 for lunch and then spend a lazy time on our balcony watching the scene. It was very windy and many a fine sailing yacht, with many a perhaps less-that-fine crew were struggling to dock. An official in a motor launch was going from one to another helping, advising and sometimes getting on board and taking over. 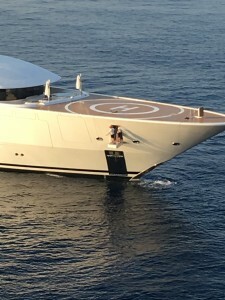 He had to tow one yacht in. It was an excellent example of the 3 laws of sailing: keep the water out, keep the people in and keep the boat off the ground. Sounds so easy! “Yachts in the wind / all we are is yachts in the wind…” Right, Kansas? 2 Trough: an all –you-can -eat buffet. Always looks more delicious than it is. 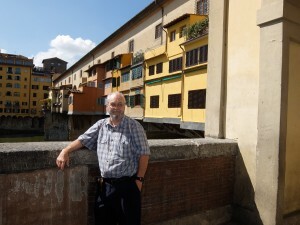 We got a bus [not a tour] from the ship to Florence, though we had to park about a mile away, on the banks of the Arno River. Someday, I would love to stroll the banks of this romantic place with my lover. But, we had a tight schedule, with only 5 hours! 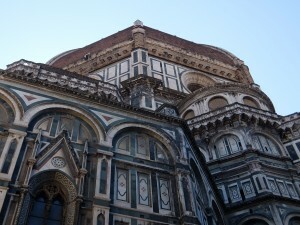 We walked at my fastest pace to the Duomo in the heart of Florence. This is quite simply stunning. The Medici family built this enormous church and paid for most of it with their enormous wealth. The Medici family were bankers at a time when bankers were not supposed to charge interest to other Christians. They probably didn’t, in the strictest sense, but money and position came their way from the important people they loaned to. There were Medici family members all over Europe in the Renaissance, doing business with letters of credit. By the mid-1500s a Medici daughter married royalty in France. The Duomo is Italian in the sense that there is no square inch of its exterior that has gone undecorated. But its huge size makes it majestic rather than busy-busy. It is meant to overwhelm. Our plans did not allow us the time to go inside, but we had as leisurely snack at one of the tables crowded around the Duomo. This struck me as very appropriate, since merchants have always set up in the shadow of the great churches. Commerce hasn’t changed in 5000 years [or so]. 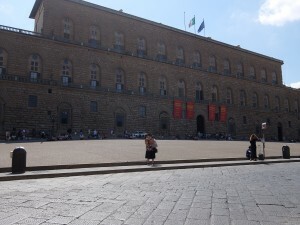 Our goal was the Pitti Palace, where I have long wanted to have a pity party. Sadly, the photo of me pity-partying didn’t really turn out, since the palace it is so very larger and I am [relatively] very small. We had an excellent lunch right across the street. 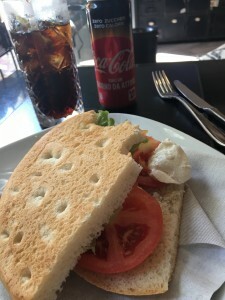 I was very proud of myself; I ordered a Caprese panino, which was not on the menu. I had just enough Italian to ask. Caprese is the fabulous combo of tomato, basil and mozzarella and panino means sandwich. I pointed to my choice of bread. Thus fortified, we bee-lined for the Uffizi Gallery, where we had timed tickets to get in. I really like this trend in museums. Rather than making everyone stand in line, you can buy a ticket for a certain time online. Usually, once you’re in there is no set time to leave, although we found that the Borghese in Rome boots you out after 2 hours. Someday, though, I would dearly love to return to Florence to actually visit the Pitti Palace, as it is crammed with famous art. But we had studied long and hard and made the choice to visit the Uffizi Gallery. 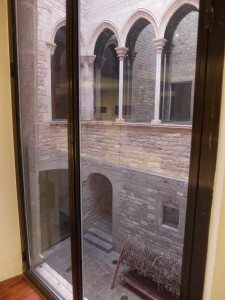 The Uffizi is a family estate, like so many of the great art museums in Europe. In fact, in the USA, the Getty, Huntington, Guggenheim and Rockefeller families have done the same. When you are rich enough, your private collection needs curating and then you figure you ‘might ought to’ share with the hoi poloi. 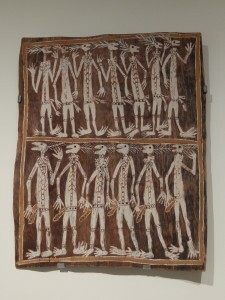 [this is a Greek work for the many, the people]. Among the incredible works here on display is Botticelli’s “Birth of Venus” / “Primavera” and a half dozen more. Several paintings by Veronese, El Greco, Caravaggio [our fave] were grouped by artist. Titian’s “Venus of Urbino” was there. 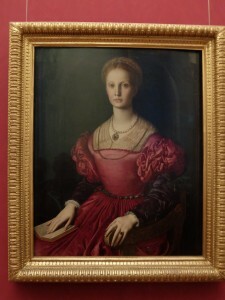 Bronzino’s “Lucrezia Panchiatichi” intrigues me because I flatter myself that she looks like a younger me. Fiortino’s “Musical Cherub” which adorns just about every syrupy Valentine’s card is much better in person. Rubens, Rembrandt and Raphael vied for attention. I am coming to admire Raphael, the more of his works I see. I think he was inspired by Leonardo da Vinci [several of whose works were also displayed] but IMO, Raphael surpasses Leonardo in clarity and soul. There, I said it. We really had to hotfoot it through, leaving scorch-marks on the floors. But we saw it ALL! My pet peeve these days is people who stand back from a work of art and take a cell phone picture of it. WHY?? You can look at all the pictures of pictures you want on the internet and in books. When I travel thousands of miles to see a work, I want to see the brush strokes and the thickness of the paint! So I am a jerk and go right up to the piece and take off my glasses and LOOK. This, of course, ticks off all the people with their phones, but I DON”T CARE! 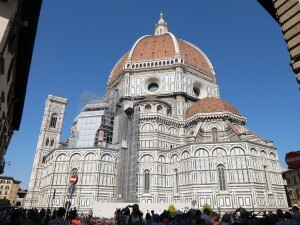 Oh, yes, Florence is still on my list of places I’d like to go to. A half-day visit is simply not enough; this city, poised as it was between the Middle Ages [the dukes and bankers still engaged in tournaments] and the Modern Age [the Medici’s pan-Europe banking empire combined with a love of art and a desire to “give back”] deserves at least a week of exploring and museum going. And the food’s good too. Monaco is one of those teensy weensy nation-states of which Europe used to be composed. I believe that the European Union is a better solution to the duchies, kingdoms and republics than the 19th century nations ever were. The overall union allows a more tribal approach; you could argue that Europe is more of a melting pot than the USA was, as wave after wave of conquerors and refugees, fleeing before them, swept from East to West. And, in many ways, continued sweeping across the Atlantic Ocean to create the USA. 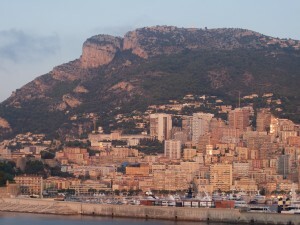 The principality of Monaco has a town in it called Monte Carlo. This town is where Prince Albert lives [in a can?] and just below the palace is the Casino. We really didn’t care much about either. There were tours, but to even tour [not gamble in] the Casino was €18 4. We had just finished 3 glorious, grueling days of touring, so we opted to take a late, leisurely breakfast and go ashore well after the mad rush. We were being tendered at this port, but we left so late, we didn’t even need to get a ticket ashore. 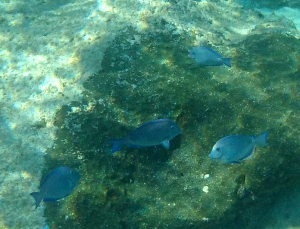 The tenders were just running back and forth by the time we wanted to go ashore. We had spent some lovely time lounging on our tiny balcony, watching the incredible ocean yachts arrive and anchor. 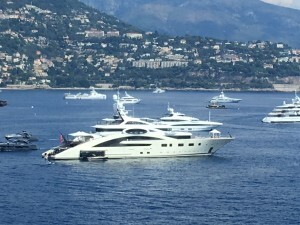 I can’t even imagine the cost of these yachts. I went online for a guesstimate and all the ones listed are tiny in comparison. These were at least 150 feet in length; 5 decks above the waterline; garage opening in the bow for the shore boat; 5 or more crew; diving platform at the stern. For those of you who have been to Catalina, off California, those are shore-boats compared to these yachts. I’ve seen one or two of these yachts off the Greek Isles, but not a fleet like this. Did I own one, I certainly would not heave to in Monaco in such a ship. I would find somewhere utterly deserted. But then, the wealthy love to be seen. 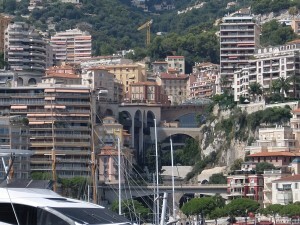 The harbor of Monaco is like a major highway, with a stoplight to control traffic in and out. Our ship was not even anchored, but was using the thrusters at station-keeping to hold position. 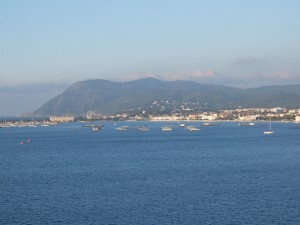 Most of the yachts were anchored out in the bay; hence the need for shore-boats. But our little tenders and other vessels made for the enclosed harbor. It is a very busy place. We off-loaded at a tourist dock, nicely set up for the lower sort of mortal confined to a cruise ship. We strolled a little ways along the harbor. Our means being modest, we boarded a small ferry that took us across the harbor for €2 each. We enjoyed the little trip, getting the lay of the land—and the lay of layers of houses and hotels tumbling all the way down the mountain to the edge of the harbor. And they’re still building at the edge. 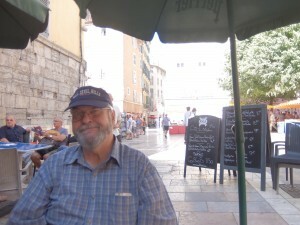 Our plan was to walk around the harbor, looking at shops, etc, at a leisurely pace. We perused condos and apartments listed for sale [millions to buy, thousands a month to rent] I a brokerage window. Yachts for sale [ditto]. Interspersed were practical places: ships stores, engine repair shops—and a wonderful 2 storey grocery store. Here I purchased “Lange de Chat” [=cat’s tongue] cookies at €1,31, a souvenir Documents de Santé [health documents] folder at €1; and a few gifts. It was delightful. 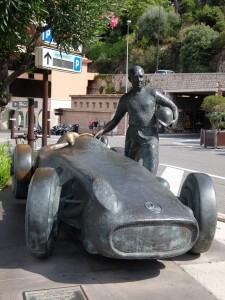 Along the way, we noted 2 life sized bronze statues to the previous winners of the annual Grand Prix auto race. There are apparently dozens of these around town. I noted the loving detail of the autos, compared to the casting of the drivers, and decided what was considered important. We continued our walk around the harbor, noting the €8 cokes [declined], and looked at the elevator in the car park by which we could go up Monte Carlo. 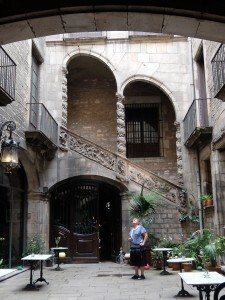 We could walk around looking at the streets and gardens. But we could not bring ourselves to care! 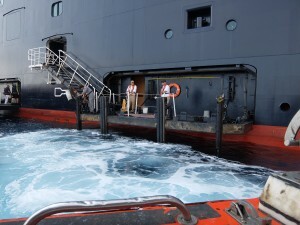 So we completed our circuit, boarded the tender and returned to the ship. I went to the bar to indulge myself in limitless diet cokes, as had become my custom. And, even though the ship remained in Monaco until midnight, we stayed on our balcony, enjoying the view and resting our feet. Click your ruby slippers and you’ll be there! Well, if you fly across the Atlantic, across Europe, over the Alps and southerly a bit. 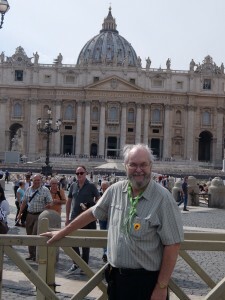 We have visited Rome several times, but had never been to the Vatican. The main reason is the crowds and craziness. 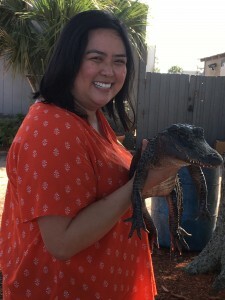 This trip, we determined to bite that bullet, guessing what to expect [based on our crowd experience of the Hermitage Museum in St. Petersburg, Russia]. We signed up for a bus tour offered by the ship; rather expensive, but we knew that [a] it’s a long way from Civitavecchia [chee-vee-ta-VECK-ya] harbor into the city and [b] they’d get us back on time. 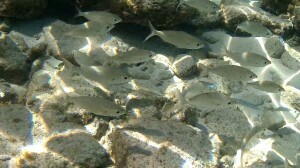 The also took us to lunch, as a group. First off, we enjoyed the 1 ½ hour trip through wonderful, fruitful fields of sunflowers and field corn. Old farm houses dot the landscape, many of them almost fortresses, built around a courtyard. Wonderful umbrella pines crop up on the horizon; these are all over Rome and nothing makes me feel like we’re in Rome than these trees. We came in on the major highway, which has traced the exact route for at least a thousand years. It leads past the imposing basilica of St. Paul-Outside-the-Wall, the site of his execution and burial. It is by no means the original building, so we haven’t made a point to go there, but I’d like to. The basilica is indeed right outside the walls of Rome, which do not exist anymore, except for a section here and there. There is a pyramid tomb embedded in the Roman wall. Our Vatican tickets were for 1 pm, so we got a city tour first. We have done this very tour at least twice, but it’s always fun; our biggest surprise was the extensive rebuilding of the Colosseum! When we last saw it, in 2011 it was still very much a ruin, having served for centuries as a stone quarry and earthquake attractor. They had re-built a section of the performance floor, to show how it would have looked. Now, they have edged the most prominent ruined wall with sturdy brick. I assume the brick will support the rotten stone, yet be very clear what’s ancient and what’s not. And, as the ancient Romans used a lot of brick with stone, it’s appropriate. We all lunched on a side street, in a tiny restaurant clearly made to feed busloads of people quickly, but well. No choice: salad, lasagna, red wine and trifle for dessert. I thought it was charming and efficient, but many on our tour grumbled about it. And on we went to see the Vatican. I am of more than 2 minds about the Vatican. 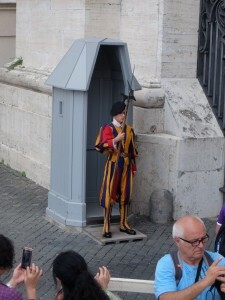 First off, I was highly amused, remembering Pope Francis telling the US that we shouldn’t build a wall on our border, yet the Vatican is completely walled and guarded by soldiers. You’ll read more of my minds below. This tour was a taste, and only a tiny taste of what’s in the Vatican. Our guide stressed those things she cared about and slid over the rest. She spent ½ hour in the sun explaining what we were going to see in the Sistine Chapel, but failed to mention the smaller cycles of frescoes by Sandro Botticelli, lower on the walls. 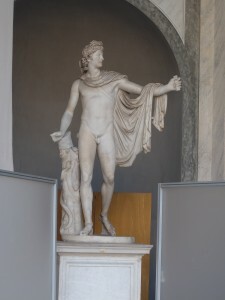 She told us the categories of Greek statues, as delineated by Johan Winkelmann, but failed to point out the Apollo Belvidere, the most exquisite Roman copy of a Greek bronze [now lost] in the world. She dragged us through a long chamber of hand-painted maps from the Renaissance, when the church was at the peak of its power—who cares? All the while, it was wall-to-wall people, as desperate as we were to see the treasures. Our guide fussed and fussed about keeping up. To say it is wonderful is the truth. But I have never been that big of a fan of Michelangelo; I am not fond of the over-blown musculature of all the figures. If there were simply the Creation of Adam, that would be enough. The rest is gratuitous, IMO. But, then, I’m not Pope Julius. The restoration has been a wonderful success. I have seen photos of the grimy, dingy state of the ceiling before the 1980-84 cleaning. The vibrant colors are much more what I would expect of the early 1500s. I do love Sandro Botticelli! He was often a painter of mythology, such as his “Birth of Venus.” So these side walls’ religious theme, exquisite and delightful, surprised me. One wall holds the cycle of the story of Moses, the LAW, while the other, the cycle of the life of Jesus, the WORD. Oh, how I wish I could have got closer! Then we were trotted over to the basilica proper, where our guide did let us wander about a bit. 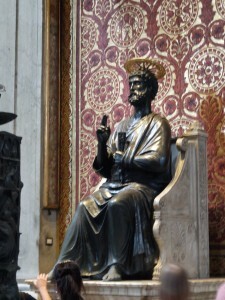 I spotted the old bronze statue of St. Peter, which is supposed to be right above his tomb in the catacombs below. There was a short line to see it, and I went over. I then realized people were humbly touching the feet of the statue and that so many pilgrims had done so, the both feet are worn half away. This awed me; the thought of 1500 years of pilgrims, all in line, to pay homage to the simple fisherman whose faith brought the news of Christ to us all. I touched his feet also, thinking about the time Jesus had washed his feet. Peter would be quite uncomfortable with this whole ritual, but it was meaningful to me [and thousands of others]. 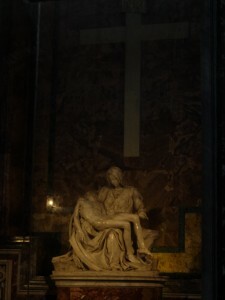 In another side chapel is the Pieta by Michelangelo. This is the one statue of his that moves me: the beauty of the Virgin, so young and pure, holding the dead body of her Son, grieving, yet knowing all the while why it happened. It is as perfect as anything here on earth. It moved me when I was 11 and saw it at the New York World’s Fair in 1964; it brought me to tears this time. The basilicais so big and so Baroque; lavish and unapologetic; politically motivated; a showcase of power and ego. But it also the church built on the spot that Peter was martyred. The facade of St. Peter's Basilica. As we finished up and made our way outside, past some very spiffy Swiss guards in their 16th century uniforms, I mused on the irony of the fact that the building of this cathedral, to showcase the power of the pope in Rome, led directly to Martin Luther nailing his 95 theses to the door of Wittenberg Cathedral. Pope Leo had come up with the scheme to sell indulgences for sin all over Europe to raise the funds to complete this edifice. Any other pope, I believe, would have managed to absorb Martin Luther and the others back into the church, as Pope Gregory IX did the radical Francis of Assisi. But there stood the mighty St. Peter’s Cathedral and there I stood a Baptist. Such is the legacy. Will Jesus bring his church back together? Only He knows when.